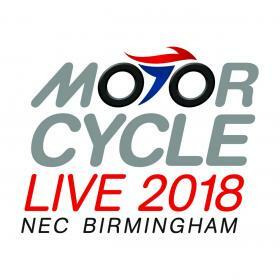 Come and see us at Motorcycle Live from 17th to 25th November 2018, at the NEC Birmingham. You will find us in Hall 2 on stand 2D20. Take advantage of reviving your current helmet with a free service from our highly qualified Arai technicians, transform the fit of your current Arai by purchasing replacement internal parts or if you need to renew your helmet, come along and visit our designated custom fit area where one of the trained technicians will find you the perfect fitting helmet. Tickets are now on sale and if you buy your ticket in advance online, you could be in with the chance of receiving a Golden Ticket! Find out more and buy your ticket HERE.